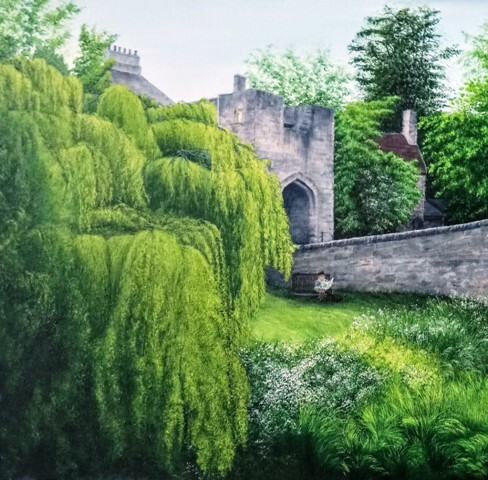 An original, signed acrylic painting on canvas. Measurements are 101.5 x 51cm, unframed on deep canvass. 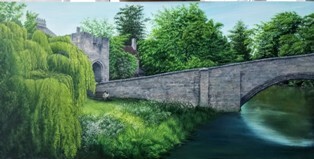 A large, acrylic painting of Warkworth in Northumberland, of the old bridge over the river Coquet and the tower nearby. This is a very beautiful spot and popular holiday resort. 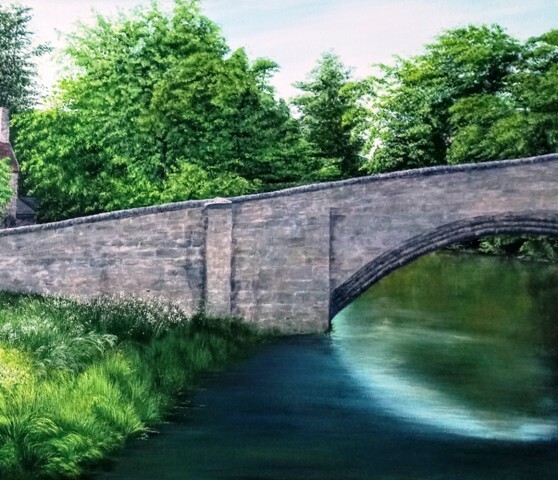 The ancient bridge crosses the river coquet and casts a lovely shadow on the tranquil river below. At the end of the bridge the old tower stands,, surrounded by trees and grass. The river is edged with trees, wildflowers and plants. A little old man sits on the seat by the bridge with his dog, reading his paper in the peace and quiet of the morning sun, in the shadow of the giant weeping willow tree. A deep set canvas, with all edges painted accordingly, so no need to frame. Varnished and ready to display.